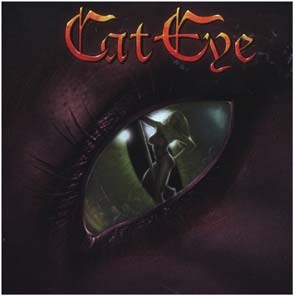 Cat Eye was formed in 1996, mainly as a cover band playing their favourite songs by Whitesnake, Ozzy, Rainbow, etc. On their first gig they had Magne’s long-time friend Hans Olav Solli come and do the vocal duties. This, however, was a one-off thing and Cat Eye had to search for a new singer. Through several line-up changes, the core trio of Affen, Magne & Øystein remained. 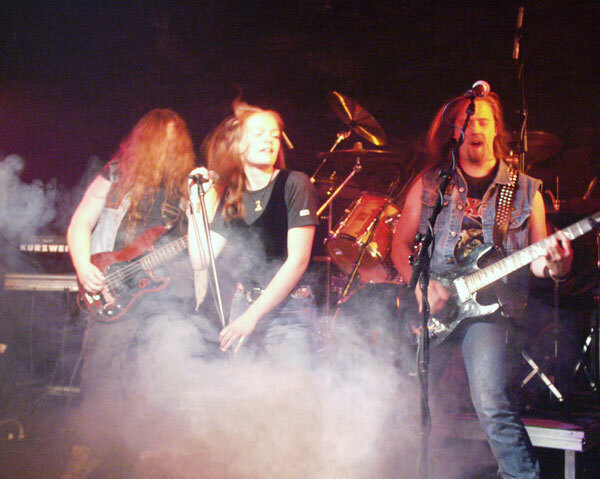 January 2001: Ida Haukland had a chat with Affen over a few beers in a local pub and decided to join the band. This was a new era for Cat Eye; the stable line-up allowing for more frequent rehearsals which again resulted in steady progress. The band was met with great enthusiasm from both press and the audience, and soon built a solid following in the Harstad region. Inspired by the response, they started writing their own songs, always paying respect to their predecessors in the Hard Rock genre. The Cat Eye sound started to develop as the band were taking the essence of the 80’s Hard Rock scene and transforming it into their own. These songs were well received, fans raved and the press was satisfied that “not only are they masters of their instruments, they have now proven that they master the fine craft of songwriting”. Spring 2004: Cat Eye entered Cruise Studio, under the watchful eye (and ears) of Lars Inge Pedersen. The result was the band’s critically acclaimed debut EP entitled “Cat Eye”. Since the release, the band has been promoting themselves towards record companies worldwide, while writing lots of new material. Autumn 2005: Ida Haukland announced her departure from Cat Eye. The band wasted no time and immediately enrolled the vocal services of local talent Andreas Angell. Taking a few months off from the eye of the public, the new version of Cat Eye sharpened its claws in the rehearsal room. Two gigs in November and December 2005 served to prove the fatalists wrong: Cat Eye is stronger than ever, and the fans are once again ecstatic!